A substantial extension to an existing house. The client has specialised mobility requirements that were integrated in the design of the spaces. 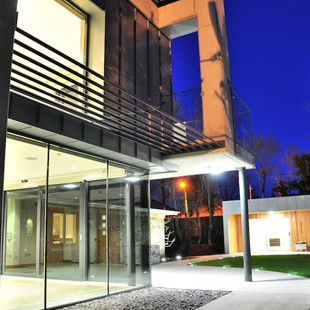 Cast concrete, zinc and structural glazing were used as contemporary materials in s suburban environment. 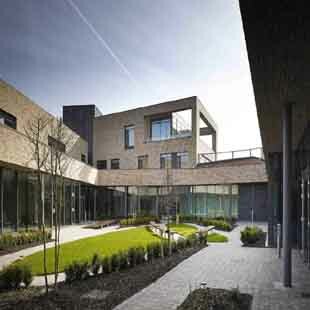 University College Dublin has officially opened the first purpose-built university Law School in Ireland. Named after Peter Sutherland SC, the UCD Sutherland School of Law honours his achievements both as a UCD law graduate and on the world stage. 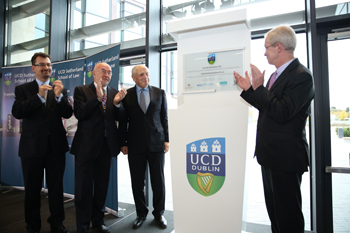 We were delighted to be in attendance at the opening where a great atmosphere complimented the ceremony.A video of the day, filmed by UCD, can be found here:  http://youtu.be/mFP9wcHDNEE.